Investors help keep the engines of business running in the United States. Without them, great startups such as Apple, Facebook, Amazon and more would never have been able to achieve the scale and technological sophistication we now expect from them. Investors give businesses the cash infusion they need to expand and experiment without fear of failure, which can cripple a company. We prize investors in our capitalist economy and we depend on foreign investment to stoke those business engines. Foreign investors bring a different perspective to the table and may find new opportunities Americans may have overlooked. This type of diversity of viewpoint can only help businesses in the United States. That’s why the U.S. administers a number of immigrant and nonimmigrant visa programs aimed at foreign investors. Shane, Shane and Brauwerman has experience assisting these investors in securing immigration visas for investors. Our Fort Lauderdale-based lawyers can advise you on what needs to be done throughout the immigration process. The difference between immigrant and nonimmigrant investor visas basically has to do with how far down the path to investment an individual is. If you are still in the exploration or planning stage for your company, then a nonimmigrant visa, such as business visitor or specialty occupation, may do. If your business is up and running or nearing launch, then an immigrant visa may be the better fit. Each situation is different and a complete evaluation is necessary to determine which visa is appropriate. 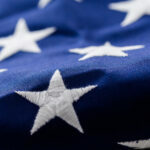 What Is an EB-5 Investment Visa? Put money into a commercial venture individually, or become associated with one of the more than 1,200 regional areas designated by the U.S. Citizenship and Immigration Services. Be responsible for creating or saving at least 10 American jobs through the investment. The process begins by filing Form I-526. 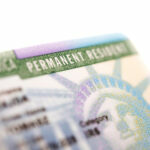 Applications for permanent status and visa registration must be filled out after Form I-526 has received approval. Navigating the U.S. immigration system can be tricky, especially when applying for an EB-5 investment visa. Because of the high stakes involved — these investors pour hundreds of thousands of dollars into companies — it’s important to ensure the visa process is handled quickly, efficiently and, most of all, correctly. You need an attorney who can get the right forms filed at the right time. Shane, Shane and Brauwerman has the immigration experience you need as you apply for an investor visa. We draw on our years of handling these cases to help yours go smoothly. Contact us today to discuss your EB-5 investment visa application.